Have you ever known somebody so interesting, enigmatic and universally loved that they could go by just one name? 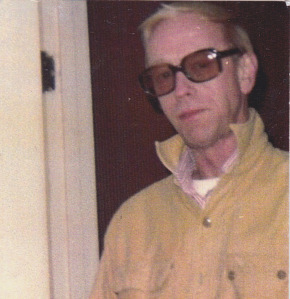 That was my Dad, “Dickie.” In fact, Dickie had such a quick wit and unique nature he had more followers than friends. When our family was planning a celebration to remember him, friends lovingly referred to the event as “Dickiepalooza!”. Dickie was one of those guys who preferred to be in his chair at home undisturbed. But when you took him someplace, he was always the funniest, most charming guy in the room. I loved the fact that I was his youngest child and 5th daughter. I felt it gave me a special cache, a claim to fame.